I’ve been hearing about these frames for a little while now. Everyone involved with their development seems to be really excited about this project from Volume. 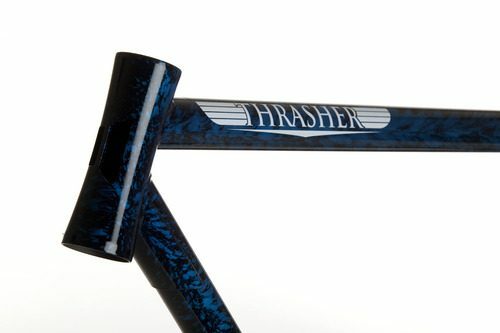 Rather than reworking their Cutter frame for bigger tire clearance and other growing demands of the fixed gear freestyle crowd, Volume decided to invest the time and money in a new frame called the Thrasher. It’s got clearance for bigger tires and an over-sized hourglass headtube. 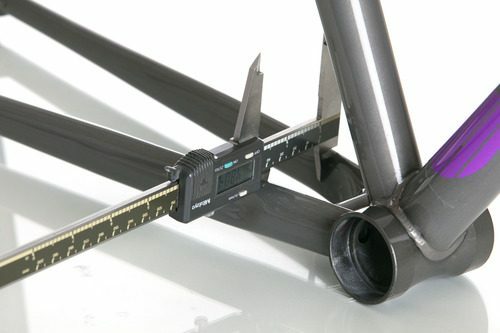 The gussets look about the same as the cutter and no word on the fork or geometry yet. Their fixed team will be riding and testing these out and once all the PR&D is complete, Volume will be releasing the final geo. I have to say, this looks 10000 times better than the Cutter. It actually looks like a fixed freestyle frame now. Big ups guys!